Are you having a hard time forming an idea for a competitive or halftime show? Do you need help developing your idea? Do you wish you can hire a group of designers that have worked together and achieved results? Stuck in a creative rut, and want some fresh ideas? If so, then consultation services are what you need to maximize your marching band show design. For the past 12 years, I’ve provided consultation for bands of various sizes and talent levels. I’ve devoted time into studying designs, dissecting them, and learn what works and what doesn’t. Most importantly, I see the importance of knowing the difference between the effectiveness of long-term and short-term implementation, and how that coincides with the effectiveness of design and instructional changes. There is an ultimate goal, but there is a process of getting there, and affective ways to lay-out changes. I would love to share my creative and instructional ideas, and help take your program to the next-level. I’m confident that I can help take your program to the next level. Are you wanting an entire marching band show concept? I can assemble a design team, and together we can create your next marching band show. What is included with my consultation services? An analyzation of past performances over multiple seasons. Looking into the marching bands strength and weaknesses in terms of design and visual execution. Breaking-down and clarifying the marching band’s short-term and long-term goals. Discussion during the show-design process on musical selections, and how that impacts the goals of the program from a visual stand point. Discussion on: auxiliary costuming, flag & equipment choices, and color pallet. Conference calls and emails with the band directors/visual staff on implementing new ideas or approaches to improve and enhance the programs performances. 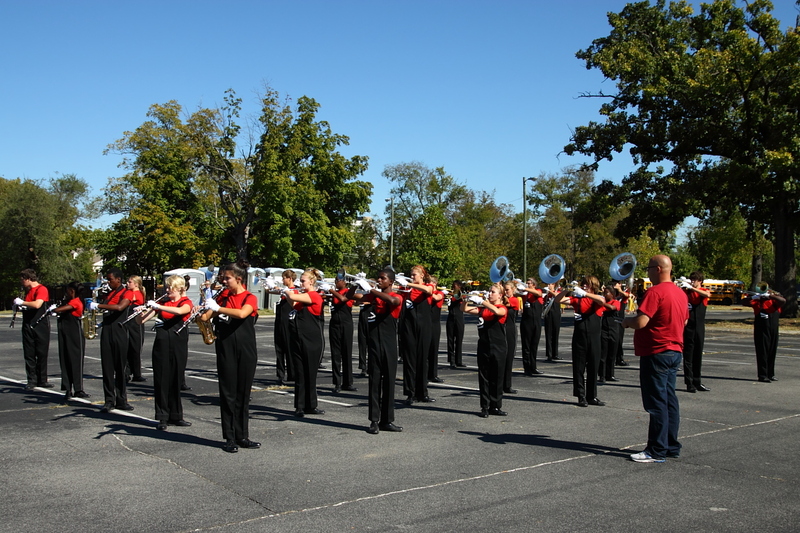 Consultation throughout the season in the form of video evaluations of your band’s performances. This part of the service requires either a downloadable video or a video hosted on a site such as YouTube. The feedback is on a video that can be either shared with the band (like a judges tape) or made in a style that is for the director/staff only. I have 13-years of experience as a Visual-Caption Head, and my groups have won numerous high-visual awards while receiving judges praises for their execution and style. I’ve decided to offer my instructional services to groups in the form of clinics and consultation. I will not only work with your students, I will work with you and your staff on how to carry out changes, what to look for, and how to correct problems when they appear. Please call me for details.